I added last week a new feature to this website. This will enable you to keep reading this blog more easily. These three buttons which are now located in the Meta section of the sidebar under the line RSS feeds. If you are using a particular RSS reader like Netvibes or Google you can now add my blog in a simple click. 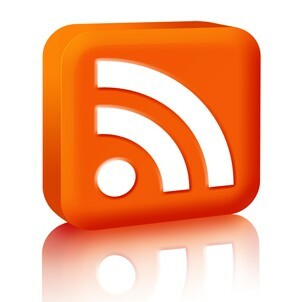 You can also put my RSS feeds to others aggregators via Feedburner. I hope you will like these new possibilities. In computing, a feed aggregator, also known as a feed reader or simply as an aggregator, is client software or a Web application which aggregates syndicated web content such as news headlines, blogs, podcasts, and vlogs in a single location for easy viewing. (They) reduce the time and effort needed to regularly check websites for updates, creating a unique information space or “personal newspaper.” Once subscribed to a feed, an aggregator is able to check for new content at user-determined intervals and retrieve the update.